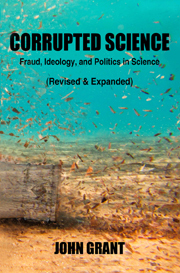 The Revelator newsletter, from the Center for Biological Diversity, will be giving away free e-book copies of John Grant’s Corrupted Science: Fraud, Ideology, and Politics in Science starting tomorrow and ending on Sunday. The offer holds for both current and new subscribers. If you’re not a current subscriber, just click on this link to their site. We’d highly recommend The Revelator newsletter — it’s free, well written, and enlightening — and if you subscribe by Sunday, you’ll get a free e-copy of John Grant’s informative, infuriating, and amusing book. Chaz Bufe’s (American Heretic’s Dictionary, Alcoholics Anonymous: Cult or Cure?, Understandable Guide to Music Theory) See Sharp Press site. Over the next few days I’ll contact the other authors who seem like they might have either a site or blog, and will add any that come up. So, if you’re interested, please check back shortly and you’ll probably find additional author sites and blogs. Note: Tim Boomer, who wrote The Bassist’s Bible, is also a computer pro who wrote the very nice looking Bassist’s Bible web site. He’s currently rewriting the See Sharp Press site, which badly needs the update. I wrote it in html 3 over 15 years ago, and it looks it. It’s not quite in Save Walter White territory, but not that far beyond it. The spiffy looking redesigned site will be up later this summer. Finally, in non-book-related news, Mick Berry, co-author of The Drummer’s Bible, has a web site up for his one-man show, Keith Moon: The Real Me, which is playing in San Jose through June 24th. John Grant, author of Corrupted Science: Fraud, Ideology, and Politics in Science (revised & expanded), has a nice piece on why the Republicans and especially the Bush and Trump administrations have been so eager to ignore and misrepresent science, and at the same time pursue environmental policies that couldn’t be more obviously harmful to the public and to future generations. John’s essay, “Donald Trump, Corporate Profits and the Cult of Tomorrow Morning,” appears in The Revelator (“An initiative of the Center for Biological Diversity“). Bloggers who review books and those readers who post book reviews on Amazon, Goodreads, B&N, etc., should be aware of NetGalley. It’s a service that provides free e-books to those who actually review at least some of the free e-books they download. This differs greatly from the unrestricted book-giveaway sites. While anyone can create a NetGalley reader account, prior to okaying a book download publishers can check to see how many of the books a particular reviewer downloaded he or she reviewed. So, publishers are free to turn down “reviewers” who have downloaded say 20 or 30 books and haven’t reviewed any or almost any of them. But if you like to read e-books and actually review at least some of them, it’s great. It couldn’t be easier to sign up for this free service at NetGalley’s web site. 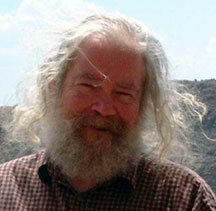 Corrupted Science: Fraud, Ideology, and Politics in Science (revised & expanded), by two-time Hugo Award winner John Grant. This brand new book (pub date June 15) covers the historical period from the days of Galileo to the present, and covers a very wide range of topics including fraud by scientists themselves, the vast array of corporate misuse and misrepresentation of science, and the misuse and misrepresentation of science by authoritarian regimes, notably Nazi Germany under Hitler, the Soviet Union under Stalin, and the USA under Trump, with a special focus on climate change denial under Trump. Sleep State Interrupt, by T.C. Weber. This cyberpunk thriller deals with an even more overtly repressive near-future America and the struggle against that repression by a multicultural crew of hackers and political activists attempting to wake the USA from its “sleep state.” Sleep State Interrupt received a Compton Crook Award nomination in 2017 for Best First Science Fiction Novel and has received dozens of favorable reviews on both Amazon and Goodreads. The American Heretic’s Dictionary (revised & expanded), by Chaz Bufe, illustrated by J.R. Swanson. This is the 21st-century successor to Ambrose Bierce’s Devil’s Dictionary and contains over 650 definitions and 60 illustrations, more than twice the number of each in the original edition. The book’s targets include the religious right, the “right to life” movement, capitalism, government, men, women, male-female relationships, and hypocrisy in all its multi-hued and multitudinous forms. As an appendix, The American Heretic’s Dictionary includes the best 200+ definitions from Bierce’s Devil’s Dictionary. The reviews have been overall quite positive, with the Mensa Bulletin commenting, “Such bitterness, such negativity, such unbridled humor, wit and sarcasm,” and Free Inquiry noting, “The quirky cartoons by J.R. Swanson nicely complement Bufe’s cruel wit. Recommended.” In contrast, we were pleased to see that Small Press deemed the book “sick and offensive” in that at least one reviewer seemed to recognize that there’s something to offend everyone in The Heretic’s Dictionary. So, if you review books and any of these titles appeal to you, we’d suggest signing up with NetGalley now, as over the coming months we’ll be taking down these titles from NetGalley and replacing them with others. Finally, just a reminder that book reviews are fun to write and that your reviews do matter and can be a tremendous help to small publishers. “I don’t think we should be doing critical thinking. I think if you are conscious, if you’re present with God at all times, then all things will be made clear to you. . . . You won’t have to think it through or think about it, and then whatever you do, it always turn[s] out right. There’s no second thoughts about it at all. And critical thinking sound[s] like people who are not conscious of God, they’re not centered, and so they’re trying to figure out things in their head. . . . [E]very thought you get is a lie. . . . And so if nothing in your mind is the truth, how can you think through things with . . . those thoughts?